A professional whiskey maker and a professional neurologist who are equally enamored with the old-time music of the American South. Music with grit and gristle. Music that grabs you by the throat, sets your heart thumping, blood pumping, and foot stomping. 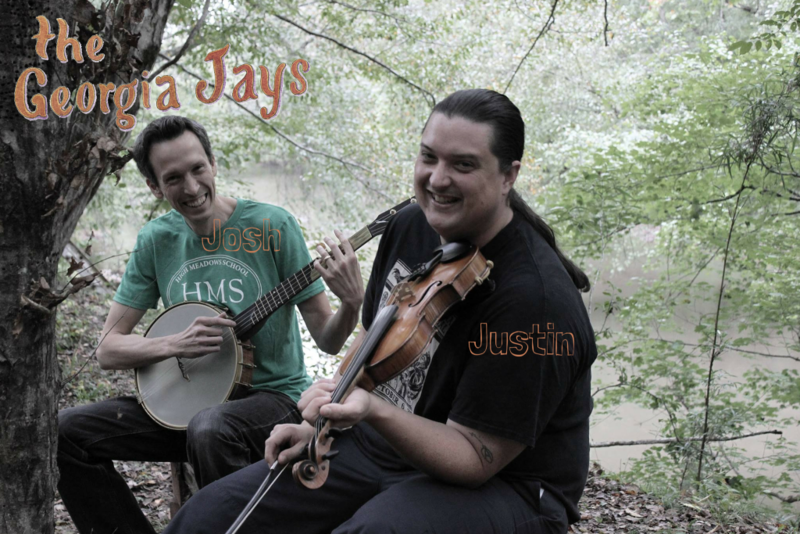 Justin Manglitz (Fiddle, Stomping, Hollerin’) hails from Haralson County, Georgia near Tallapoosa and now lives on a farm in Franklin County. He is the Head Distiller at ASW Distillery in Atlanta. Josh Turknett (Banjo, Singing) was born and raised in Georgia, practices neurology in Decatur and makes his home in Roswell. He spends much of his time obsessing about brains and banjos, sometimes simultaneously. He is the founder of oldtimejam.com as well as the Brainjo Method of musical learning.